I don't usually like to use store bought items in my desserts (especially not low grade chocolate). But I also don't like waste, and despite my best efforts I wasn't able to give away all our leftover Halloween candy. 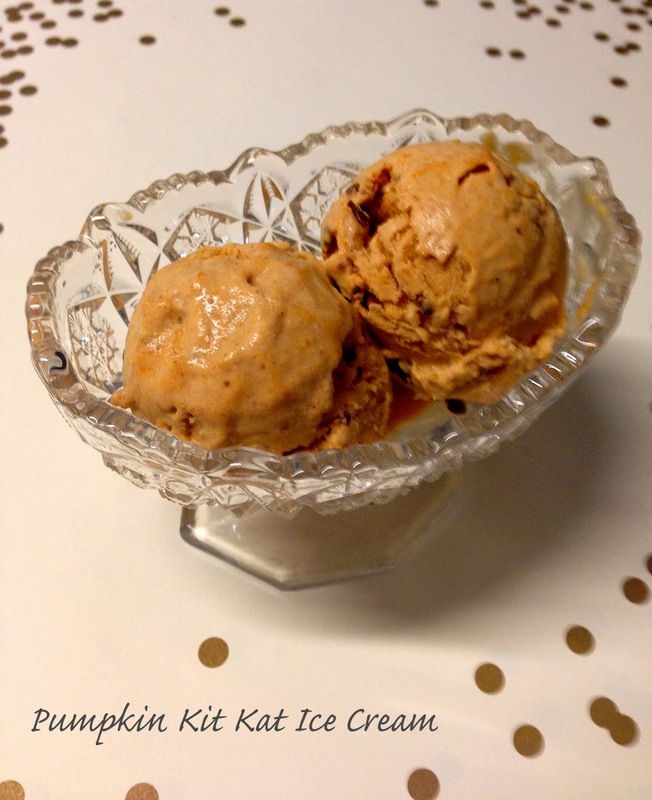 So I decided to make a batch of pumpkin ice cream and throw some Kit Kats in. How do you guys feel about pumpkin? I really enjoyed this quote that has been going around the Internet: "Pumpkin has become the flavor equivalent of James Franco - overexposed, ever-present, popping up in places it has no business being and, frankly, not as appealing as it once was." - Hailey Eber for the New York Post in an article titled Sugar and spite: End the pumpkin madness! Does anyone agree with her? 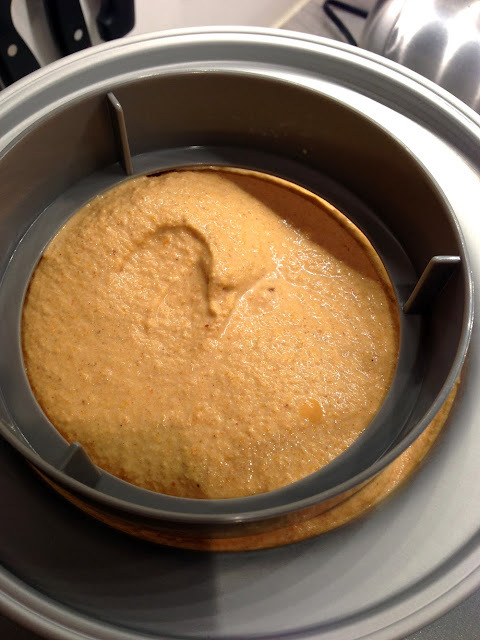 Recipe: I roughly followed Cusinart's Pumpkin Pie Ice Cream recipe, though I tripled all of the spices and doubled the vanilla extract (bold, I know, but rewarding). 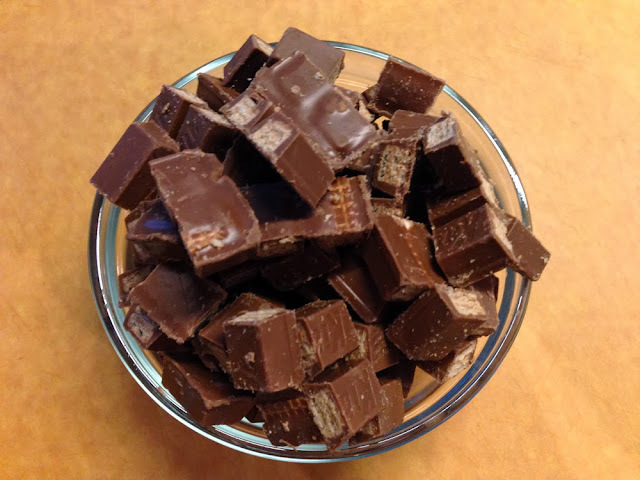 I chopped each Kit Kat bar into quarters and folded it into the ice cream before freezing. Equipment: I have this Cuisinart Ice Cream Maker, which is so easy to use. This Tovolo ice cream tub is the perfect size to store the finished product, served using the Zeroll ice cream scoop. Tip: to get pretty scoops, dip your scoop into hot water between each one.